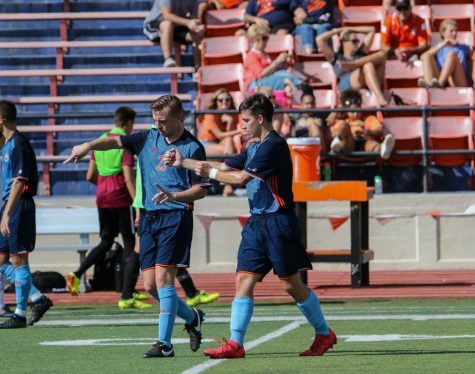 The magical run for the Baker men’s soccer team came to an end Saturday with a 4-1 loss at the University of Rio Grande in the first round of the NAIA national tournament. 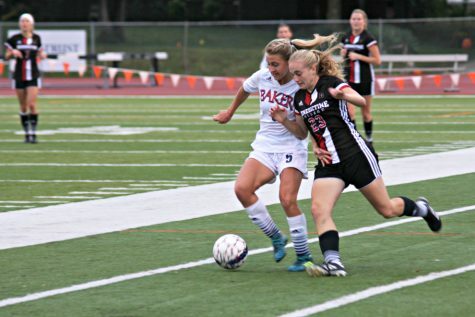 The top-seeded Red Storm dominated the Heart of America Athletic Conference champions as its attack and defense proved to be too strong for Baker. 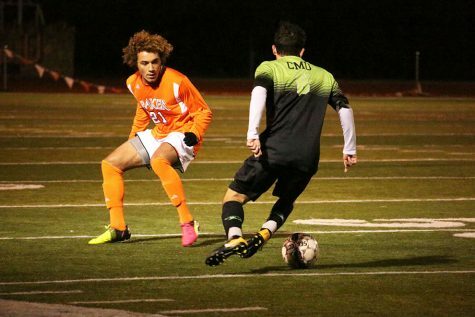 Rio Grande started the scoring quickly in the sixth minute by sophomore Willian Paulino as he blasted a shot past Baker freshman goalkeeper Patrick Rydberg for a 1-0 lead. This was Paulino’s ninth goal of the season. The Wildcats kept themselves in the game for the majority of the first half, battling shot-for-shot with solid opportunities offensively and sturdy defense. 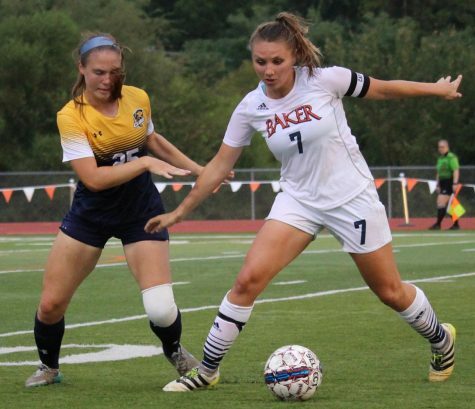 Baker’s attack was finally rewarded in the 29th minute when the Red Storm’s junior goalkeeper Ludovic Delapeyre made a risky pass and turned the ball over just outside the 18-yard box. 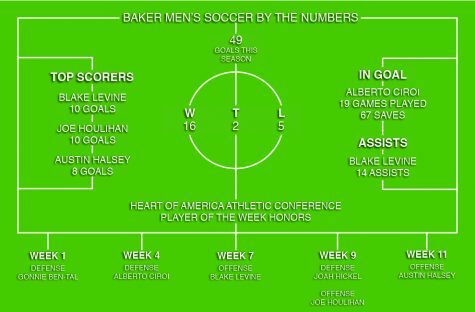 Baker went on a 3-on-1 as sophomore Keaton Anchors found freshman Blake Levine on the right side of the box and Levine buried the equalizer into the back of the net. 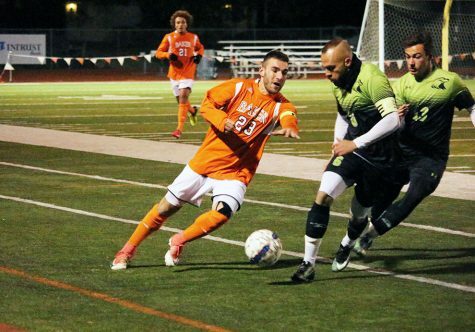 Levine scored his sixth goal of his freshman campaign and finished second on the team in goals. The Red Storm responded well, gaining the lead back right before halftime in the 37th minute. Freshman Jorge Andres Guinovart scored his second goal of the season on a high cross from sophomore Heitor de Melo. Guinovart placed the ball perfectly in the back corner for a 2-1 lead into the intermission. 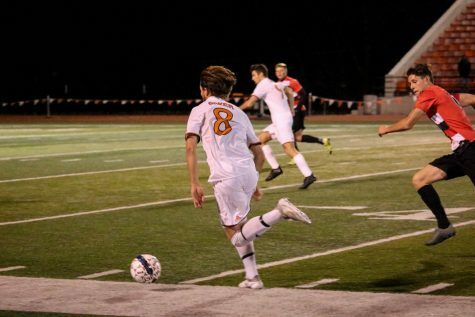 Right after halftime, junior Andrew Miller took a long throw that skipped through the Red Storm goalkeeper’s hands and sophomore Kyle Young found himself with the ball at his feet at point-blank range with an open net. Young’s shot hit the crossbar and the Red Storm survived. This was Baker’s best and last chance to stay in the game. 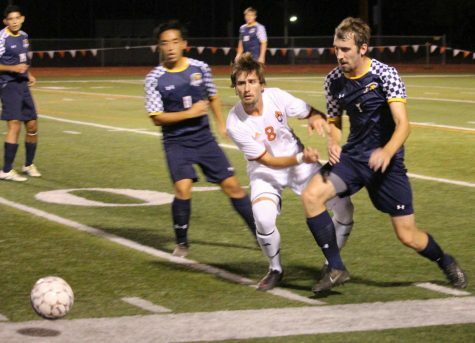 Rio Grande immediately responded to score the first goal of the second half when sophomore Callum Cobb drilled a left-footed shot on a breakaway that would end up sealing the Red Storm victory. Rydberg fought off a barrage of Red Storm shots, making 12 big saves in an attempt to keep the Wildcats in the game. 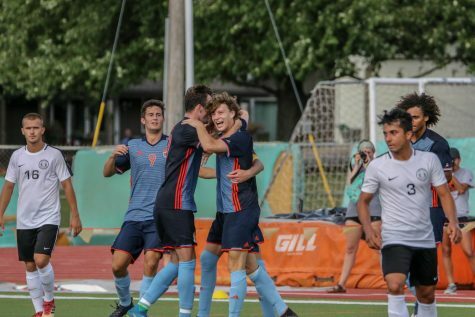 Rio Grande scored its fourth goal of the game in the 86th minute from freshman Tyler Martin, securing the Red Storm’s 4-1 victory over the Wildcats. 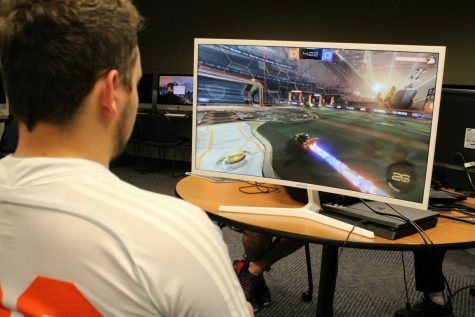 The Red Storm will advance to the next rounds of the tournament in Delray Beach, Florida, in search for the school’s second national championship. The Wildcats took 10 shots and put five of them on the frame. Sophomore Jordan Thacker and Anchors both had two shots apiece and six other Wildcats had one shot apiece. Rio Grande took 19 shots and put 16 of them on target. The Wildcats finished the season at 9-9-3 after winning four consecutive games and the conference tournament to make it to the NAIA opening round.